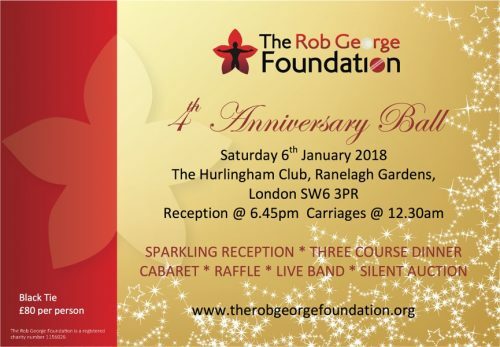 The Rob George Foundation are very excited to be celebrating our 4th Birthday! We’ll be back at The Hurlingham Club, on Saturday 6th January, for another wonderful evening. Whether you’ve been before, or this will be your first time, we would love to see you there. Tickets and details for the night are in our online store.